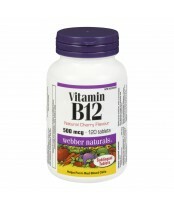 This Folic Acid supplement aids in energy production, immune support, and the formation of red blood cells. 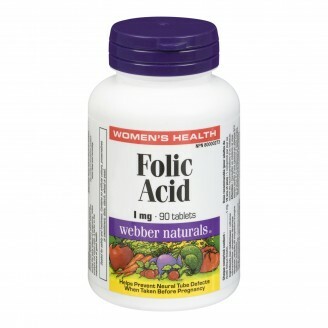 Possibly the most common vitamin deficiency in North America, folic acid is especially important for women, as it is central to long term health. Cervical dysplasia (the lead up to cervical cancer) and fetal neural tube defects may be connected with folic acid deficiency. Folic acid also is critical to the formation of DNA, making it crucial in fetal development in the first few weeks of pregnancy. Medicinal Ingredients: Folic AcidNon-Medicinal Ingredients: Cellulose, Di-Calcium Phosphate, Vegetable Oil Powder, Vegetable Grade Magnesium Stearate (Lubricant). Take one tablet daily or as directed by a healthcare practitioner. Notes: Folic acid supplementation should always be complemented with vitamin B12 supplementation because folic acid can mask a B12 deficiency.